More it more it seems like we are surrounded by craziness, but it doesn’t have to be that way. 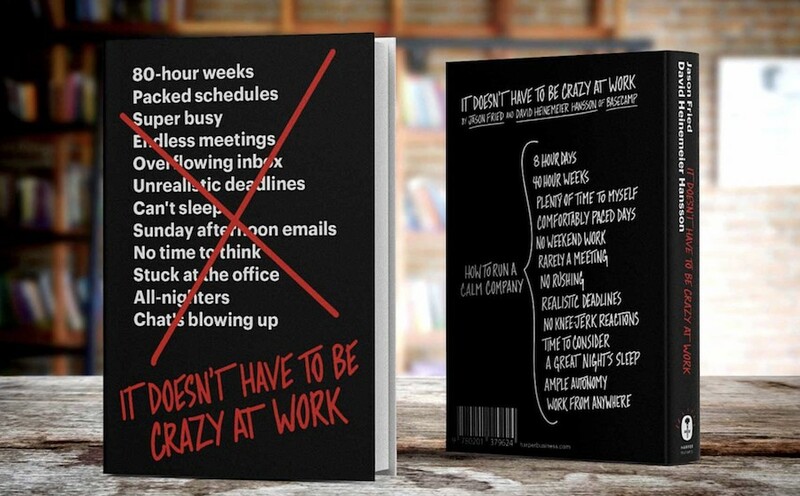 I recently read It Doesn’t Have to Be Crazy at Work by Jason Fried and David Heinemeier Hansson, the two founders of the project management software company Basecamp. The main point of the book is, as the title suggests, work doesn’t have to be, and indeed shouldn’t be, crazy.